Hard Rock Hotel, A Jewel In Penang! 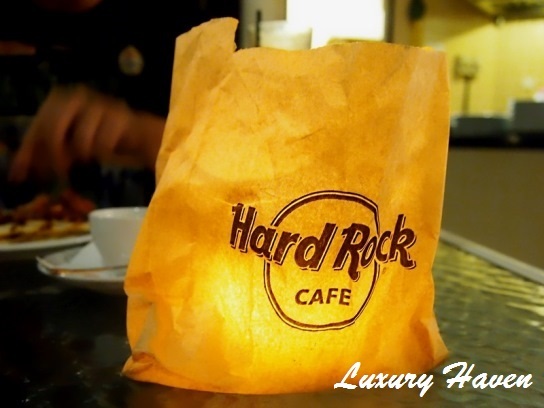 You are here:Home » Travel » Hard Rock Hotel, A Jewel In Penang! 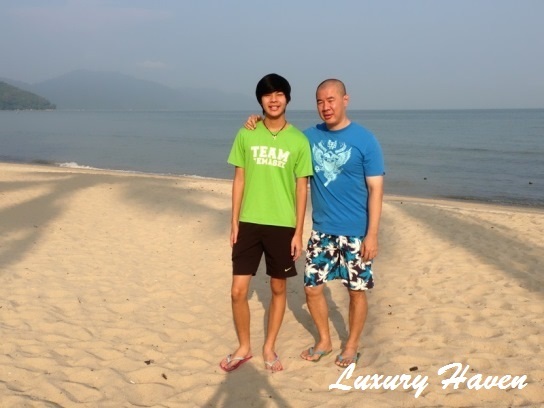 It has been a fun-tastic 3D2N stay for my family at the Hard Rock Hotel Penang. Stellar service & sincerity greeted us wherever we went in this gem. Breakfast on our last day was at the Pizzeria. I’ve to admit food wasn’t as gorgeous as the darling Kings Club, or was it the flies that kept interrupting our meal that made our breakfast not as pleasant..... Nevertheless, the beach front setting provided a nice & relaxing ambience under the fluffy white clouds. We took a stroll along the beach while waiting for our time to check out after breakfast, & move to another hotel for an extension. The occasional sea breeze died, leaving the trees & grass to wither in the scorching heat. My hubby & son could hardly open their eyes when I tried to take a picture of them. But Jon did capture a nice shot of us, remind us of our last visit to Penang……. 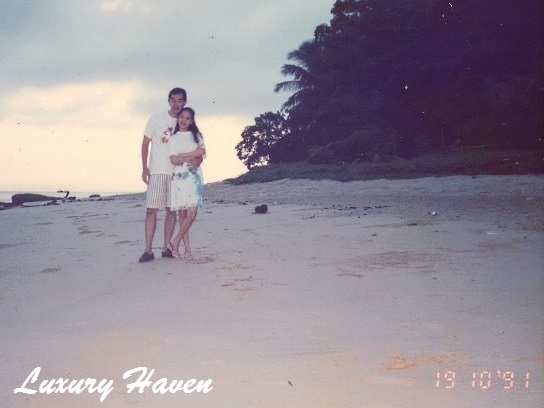 Managed to dig out this old pix of us taken at the Ferringhi Beach in 1991!! Gosh, that’s 22 yrs ago, way before Jon was born!! See how we’ve grown horizontally? This wonderful trip to Penang has brought back a lot of beautiful memories. The family-friendly resort had our entire clique in a rocking good time with plenty of fun-filled activities for all ages. The splendid sea view & strategic location, coupled with the relaxing holiday-making atmosphere & friendly staff, all played vital roles in creating Hard Rock Hotel as the perfect haven for a retreat from the hustle & bustle of urban life. Be amused throughout the day & late into the night with a dazzling array of amenities & entertainment options like this one here. I’ll be back to reveal more………. With this, I’d like to thank Hard Rock Hotel Penang & their management team, marketing & service staff for their generous contribution! Read about our dinner @ Vibrant Barefoot BBQ Buffet Spread & Crispy-Thin Pizzas At Hard Rock’s Pizzeria! Envy envy.. wonder when can I have a holiday like this.. I'll tweet again and again, until I win.. hahahhaah~ sounds very desperate.. Bet everyone is as desperate as I am.. the prize is very tempting~~~ Hard Rock Hotel stay!! Kylie, u'll never know! Hahaha! Good luck! That's indeed a wonderful pics and nice vacation too!!enjoy! It really is fun fun fun! Glad to hear you had such a great time! Trishie, have a wonderful weekend! Reana, can see a huge difference in my hubby's size. Lol! U're such a doll! It's indeed a fun filled holiday in such a fun filled hotel. And i noted that you are laying your hands on the electric guitar.... nice! DS, that's just a teaser...... heehee! Aemy, it's always nice to recollect..... Thks, sweetie! Sabah? Let's see...... Hahaha! YJ, hahaha! Have a wonderful week ahead! DD, u're so sweet! I know u're a fan of polka dot tool; I remember u bought a polka dot umbrella sometime ago. Thks, dearie! Hong, no much diff leh..... seriously. Hahaha! Hong, I'm not so daring! Hahaha!